Lake Tahoe was taken by storm on July 17th when 13 of the greatest names in sports and entertainment battled for the title of Korbel Hole-in-One Champion. With a powerful drive, Duck Dynasty Star Willie Robertson landed 12 feet 1 inch away from the pin, taking home the victory for this fourth-annual competition. 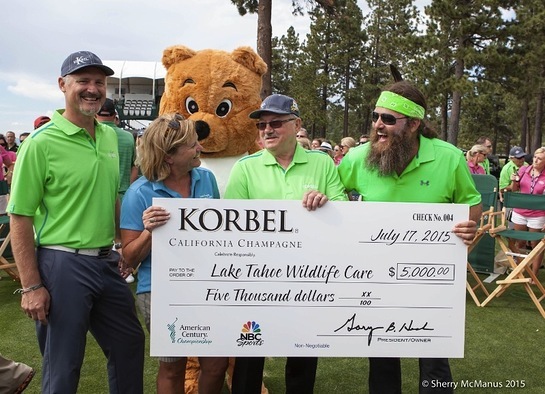 In honor of Robertson’s win, The Korbel Toast Life Foundation donated $5,000 to Lake Tahoe Wildlife Care. The Hole-in-One Competition took place on Hole 17 and is a featured event at the American Century Celebrity Golf Championship, currently being played at the Edgewood Golf Course in Lake Tahoe, Nevada. 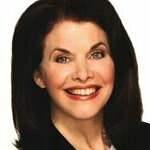 In addition, Former NFL Pro Bowl Champions Joe Theismann, A.J. Hawk and Mark Rypien exhibited fierce drives down the fairway to beat out the majority of competitors. Although he wasn’t closest to the pin, Former NBA Forward Shane Battier was a fan favorite as he took his best shot at the Hole-in-One Champion title. Fans ultimately gave their support to Bush Center Wounded Warrior Champion Chad Pfeifer, last year’s American Century Celebrity Golf Championship fifth place winner. Although Pfeifer was beat out by competitors, the crowd offered a standing ovation for his service to our country. “The fourth-annual celebrity Hole-in-One competition is an opportunity to close out the first round with a lively, crowd pleasing contest to support a worthwhile cause like the Lake Tahoe Wildlife Care and raise a glass to the American Century Celebrity Golf Championship,” said Gary Heck, small owner and small president of Korbel Champagne Cellars.